1. You may have a poor bike fit that results in too much of your weight on your hands. If so, perhaps sliding your saddle back and getting a shorter stem might help. 2. How often do you change hand position as you ride. If your bike fits well you should be comfortable switching from the bar tops to the hoods to the drops fairly frequently. 3. What is "standard bar wrap"? Are you talking about cloth tape? For long rides I find that too uncomfortable and use something like Fizik microtek, SRAM or Cinelli cork wrap. 4. I find that some padded bike gloves have padding in the wrong places for me. Nowadays they seem to want to scrimp on the amount of padding and leave much of the palm unpadded (for weight savings?). 5. One other thing that might contribute is if you have really narrow tires pumped up to 100+ psi. Join the herd and move to wider tires and lower pressures. on long descents over weathered pavement the steady vibration has a tendency to put my ulnar nerve to sleep, numb it, when riding in the drops. As always fit comes to mind on the bike. Since I converted my winter/wet bike from DT controls to 'brifters I have to remind myself to move around and take my hands off the hoods, the simple task of shifting w/ DT controls for >40 years was very much a factor in long ride hand comfort that I didn't realize. Sometimes the combination of fitness, old injury, age and a series of repetitive use bother my hands. To prevent same I use a stress ball to build strength in both hands and forearms. It works for me to improve hand strength for the odd repetitive activity of shifting 'brifters all day long as well. I've also moved to wider tires at lower pressures on our rough Hill Country roads and find the ride is better and the descending very confidence inspiring as well. Riding a properly fitted position, relaxed with elbows bent and looking through the turn is the best way to descend with confidence and comfort: old school still works. Last edited by Bandera; 07-07-15 at 12:10 PM. +1 on fatter tires. Most modern bikes don't have room for more than 25's, which is at the top of my list of reasons to ride C&V steel. I could even run 28's on my old steel Ciocc. Now I won't ride anything narrower than Jack Browns at 33 1/3. My body parts thank me for it. I developed an ulnar neuropathy from riding (with 35mm tires) and saw a neurologist about it. The first thing to do is change your hand position. 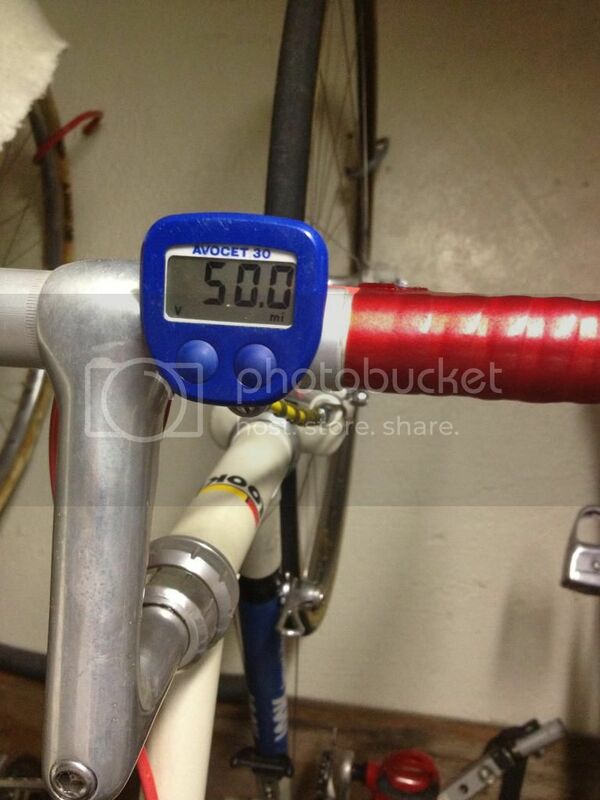 You may want to get a professional fit as your bar width and stem combination might not be working for you. The second thing to do is sleep with your hands below your waist. Your arm needs the full extension during it's rest period. If your hands are under your head or on your chest, your sleep habits contribute to your problems on the bike. EDIT: I am not qualified to make a diagnosis. I am only relating what my neurologist told me. See a neurologist, preferably one who has experience with sports-related injuries. Must be an age thing. I don't recognize that problem at all. That's no fun...let's all add unqualified opinions instead! I have had trouble with my hands going numb for years, one of the reasons for the tall stems, and it got a little worse after I came down with carpet tunnel syndrome. I have issues with glove fit. I am still searching for a pair of gloves that doesn't ultimately pinch off blood supply in the web of flesh between the thumb and forefinger. That ends up putting my whole hand asleep if I don't constantly switch hand positions. I am about to the point where I'm going to give up on gloves and make sure I have cushy bar tape. I have never had a pair of cycling gloves that didn't exacerbate hand numbness. When I wear gloves now, they are unpadded leather work gloves. I found saddle position and angle were the most important factors for relieving excessive hand pressure. No experience with ulnar nerves here. It's curious that you only experience the issue on descents and not on flatland. Could the constant braking be a contributing factor? How often are you in the drops on the flats vs. descending, and do you experience this mostly while descending in the drops? Is it possible you are gripping the bars tighter than usual on the descents? Maybe thicker gloves and/or tweeking the bar angle might help. That's what I do, except the nose isn't sniffing the knuckles. You need to get your back end lower, so the rib cage rests on the knuckles and the head goes out in front. I keep telling myself I'm too old for such foolishness. yes, i have always known those carpet tunnels to be highly risky and avoid them like the plague. much appreciated. excellent to read the experience of other riders. wrt tyres: have been running 28's. have room to run 32's, i think. by "standard bar wrap" i meant regular old cloth tape such as tressostar. will look into your bar wrap suggestions. thank you for them. bar position: i like to be in the drops on long/steep descents as i feel the lowered center of gravity gives me more balance feel and i have greater leverage on the brake levers from that position than from the tops. using a traditional pattern "maes" bar. one thing i was thinking of was learning some acupressure points for this. a discipline which can give relief to many symptoms with just a few seconds work. Oh my! At 40+ (MPH, not years) that'd be hella scary! I've had problems with the ulnar nerve where it goes through the "cubital tunnel" at the elbow. Try doing some "nerve gliding" aka "nerve flossing" exercises. There is a video on youtube from a PT who describes how to do this, it has helped tremendously with my ulnar nerve issues! While vibration and all these other things can contribute to the symptoms, the main problem is reduced blood supply to the nerve. Other things being equal, this is often caused by pressure on the nerve somewhere along it's course. This could be at the elbow, but in this case likely the wrist. Bending the wrist too far forward or backward does it by"pinching" the nerve. The "resting" position for the wrist and hand is as follows: with palms down, the wrist should be bent back 30-45 deg. and the hand slightly turned out (so straight bars make no sense). You could guess that handlebar height might be important as well as width, and brake caliper position. Look at your position in the drops, anything other than what I described might put pressure on the nerve. With people I know, getting the right bars at the right height with the calipers in the right position and their seat at the right height has most times improved things. Incidentally, the ulnar nerve is responsible for such mundane things as handwriting, holding a key, buttoning a shirt and so on. 'Cause there may be more to it than your hand position and it's been goin' on for a while, you would be wise to get it checked out. More so at 50+ mph! The "resting" position for the wrist and hand is as follows: with palms down, the wrist should be bent back 30-45 deg. and the hand slightly turned out (so straight bars make no sense). That explains why I could never ride a MTB more than five minutes without wrist pain. I had completely forgotten about that. Ha! Well, if you read it on the internet, then you might be an expert. now that is some machine you have there! doing 50mph whilst hanging from its hook on the wall. have never had a machine that fast. ^I know, the photo's a bit confusing. The computer stores the max velocity, so I took a pic once I got back. I wasn't about to whip out the camera at 50mph! simply no end to the innovation. juvela, an old coot whose telephone still has a wire connecting it to the wall. "just down the hill from you in tirana"
p.s. Riding on the hoods is essentially the correct position for the hand. In the drops you need much narrower bars. Yeah. Wish I could ride like Eddy. There's a pic of him in the vintage photos thread. His hands look really relaxed on the hoods. I rarely ride with my hands in the drops. That position is best for sprinting, right? That position is best for sprinting, right?